This website provides lots of Freeware Software Utilities which you can download on your Windows 8.1, Windows 8, Windows 7, Windows Vista and even on Microsoft’s outdated Windows XP. Yes the Freeware Applications do not come with any restrictions and are totally free to download and use. There is no Registration Required and many Applications work without even Admin Rights to your Windows Computer. We offer Freeware Applications so that you can download and install them and share with your friends. The Software Screenshot presented above is of a Freeware Windows Application which you can use to send SMS Messages from your Windows Computer. 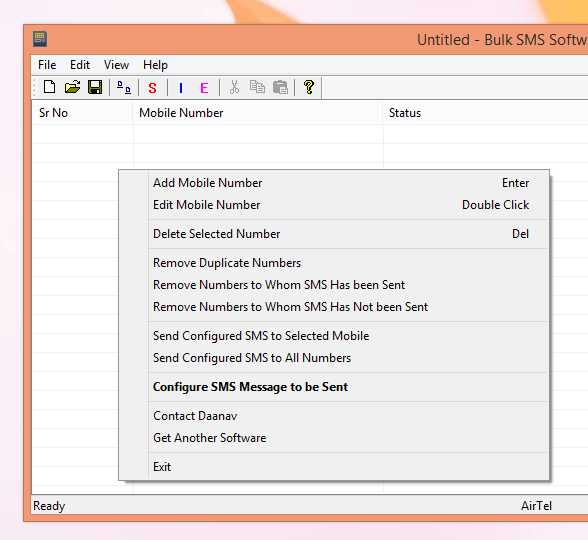 Whether you wish to send single or SMS Messages in Bulk, you can utilize the above mentioned free SMS Software for Windows and enjoy the features offered by the software for free. Yes there is no time limitation in the software and you can send as many single sms messages as you want with the software. Download the free SMS Software, Install it, Connect a USB Modem to your Windows Computer and start sending as many SMS Messages as you want with your own Mobile Operator’s SIM Card. Irrespective of work you do with your Windows Computer, the above mentioned Freeware can be of real help to make backup copies of your important data. The Free File Backup Software allows you to copy files and folders in traditional windows style on the click of a single button. All you need to do is tell the source and target folder locations to the above mentioned freeware for windows. Once you have setup the folder locations, just click on the Backup Now button to make Backup for your selected Folder. Microsoft Office is used by almost everybody to create or edit files of various types including Word Files, Excel Files, Power Point Files, etc. The Freeware Application presented above allows you to recover password of Excel and Word File. Yes all you need to do is select the password unlocking parameters and then select the password Locked Excel / Word File. 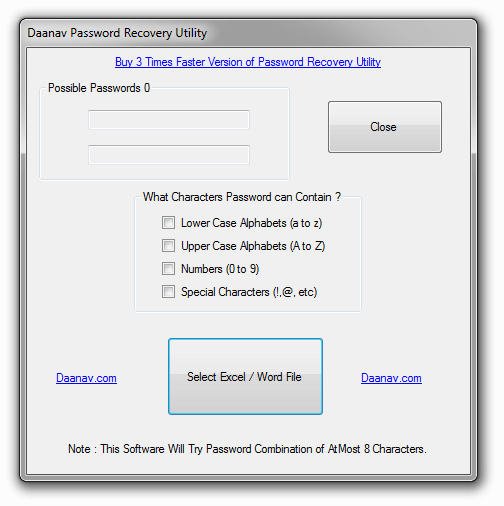 Instantly after the selection of password locked Word or Excel file, the above mentioned Free Password Recovery Software Application will start guessing the password and once the password is found, it will open the Microsoft Office’s Word / Excel File and will tell your the password. 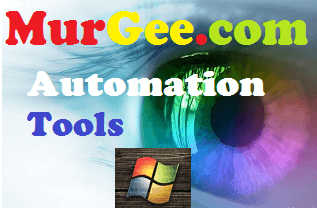 Yes we do offer lots of other Freeware File Management Utilities which together help you manage files on your Windows Computer and make sure that you do not spend too much time which can be easily automated by a simple Freeware Windows Application. Do feel free to search for appropriate free software using the Search Option at the top right corner. In case you cannot find an appropriate software to help you accomplish a simple or complex task on your Windows Computer, you can hire our Custom Software Development Service which provides you an easy way to get a bespoke software built exactly as per your needs. We offer Software Development Service for almost all Operating Systems including Microsoft Windows, Linux, Android and even Apple’s Macintosh.